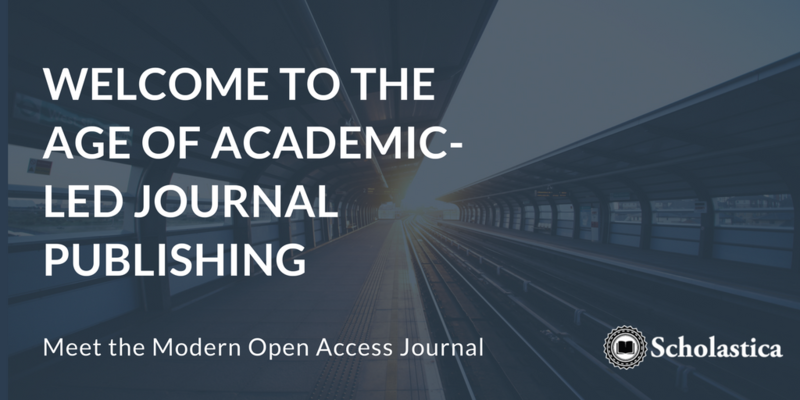 Have you heard the term “academic-led journal publishing” and are you wondering what it means? Or are you familiar with the growing movement of learned societies, libraries, and groups of scholars introducing alternatives to the corporate journal publishing model, and wondering how to get involved? We’ve just launched a new public resource page titled “Welcome to the age of academic-led journal publishing“ to provide an overview of the academic-led publishing movement and resources for scholars and institutions looking to support or launch academic-led titles. The page overviews why academic-led publishing is the solution to lowering rising journal prices and how scholars and institutions are operating modern academic-led journals at a fraction of the cost of the traditional journal publishing model. The page is also full of links to resources you can use to operate or support academic-led journals. Click here to start exploring academic-led journal publishing and how you can join the movement. It’s no secret that a handful of corporate publishers control more than 50% of research articles published today with profit margins in excess of 30%. In recent years, the academic community has pushed to make research open access, or free to read online, to ensure articles are available to those who need them. But, while the OA movement promises to make journal articles free to read, it doesn’t guarantee that the publication of research will be affordable to the academic and non-profit institutions primarily funding it. Even with more journals adopting OA publishing models, the cost of research is not going down. Many publishers are simply shifting their income models from subscriptions to growing APCs. What can be done to break the cycle of rising research costs? Academic-led publishing is one of the most promising solutions. Academic-led publishing is about learned societies, universities, and groups of scholars taking back control of research by using software and services to publish modern journals on their own. Academic-led journals like Glossa, which was launched by former editors of the Elsevier journal Lingua who decided to leave the corporate-run title due to rising access costs, are making waves in the journal publishing world. With affordable and easy-to-use technology the academic community is taking back the reins of research access. The new academic-led journal publishing resource page is designed to support scholars and institutions that want to learn more about the burgeoning academic-led publishing movement and models being used today. This page is meant to be a living resource, which we will update with new information and academic-led publishing tools as the movement progresses. While the costs and specialization associated with printing physical journals once bound the academic community to the corporate publishing model, today technology is making it possible to operate journals without entering prohibitive publisher contracts. It’s never been easier to run an academic-led journal. The power to lower the cost of research access and transition to more modern publishing practices is in the hands of the scholarly community. Software and services are democratizing the tools and skills needed to publish journals, paving the way for an academic-led publishing future. Now is the time to get started. We encourage you to learn about academic-led publishing models, check out the academic-led publishing resources and tools available to you, and help spread the word. The new 2nd edition of the Definitive Guide to Digital Journal Publishing covers everything you need to know to develop more digitally-driven publishing practices and improve your journal's online presence.